Outdoor family fun at its best. 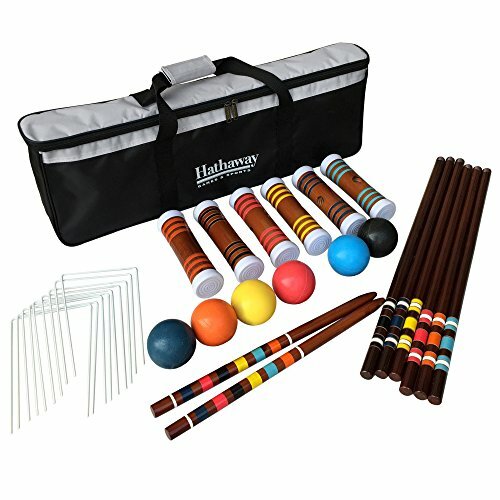 A modern version of the game that took England by storm in the 19-century, the Hathaway 6-player Croquet Set includes everything you need to transform your yard into a fun, competitive croquet court. Constructed from high-quality materials and designed to appeal to players of all skill levels, our 6 player croquet set is sure to provide you with years of outdoor family fun and friendly competition. Manufacturer: Blue Wave Products, Inc. Publisher: Blue Wave Products, Inc. Studio: Blue Wave Products, Inc.